Wearing closed shoes or boots during the winter can leave your heels dry and cracked and your feet looking unloved. Summertime does not only bring warmer weather but also a change in clothing and activities. The big winter shoes come off and are replaced by sandals or flip-flops, putting your feet on full display. During the summer months, a woman's feet are just as important as her skin, hair and makeup. An amazing ensemble can be ruined by ungroomed feet peeking out from her open shoes. Summertime is a good time to make an extra effort to get your feet healthy and well-groomed and start a maintenance routine. 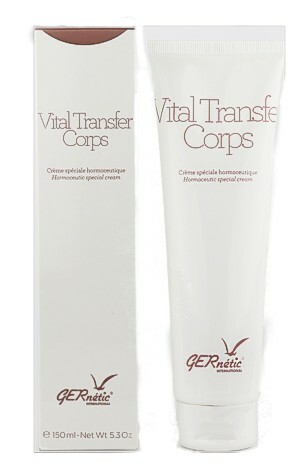 Just at the right time, GERnetic have launched a new extraordinary regenerating and nourishing foot cream that is out of this world!!!! It is a miracle cream specially developed for the regeneration of tired feet with dry and cracked skin which is also good for your toe nails. PIEDS PARFAIT also soothes swollen and painful feet. PIEDS PARFAIT contains essential oils and lime flower which has a calming, soothing and refreshing effect as well as lime extracts giving it astringent and antiseptic action. This amazing foot cream is rich in Vitamin C and Vitamins B1, B2 and B6 which help the regeneration of skin tissue and biological extracts full of amino acids and minerals. It can be used in the salon for pedicures or for foot massages as part of general face, body and bust treatments. This new exceptional product is non-greasy and is absorbed very well so shoes can be put on quickly after use. It's time for those tootsies to step out in sandals. Are your feet ready? GERnetic's PERFECT FEET can help.